The big question in furniture making: solid wood, or wood veneers? Let’s take a look at the differences. Solid wood furniture makes a durable choice. It is easy to refinish and simple to repair issues like scratches, watermarks, stains and dents. Veneered furniture on the other hand may be prone in some instances to delamination, peeling or blistering when not treated with care. However, it is actually easy to prevent such problems by avoiding placing hot or wet items directly on veneered furniture. 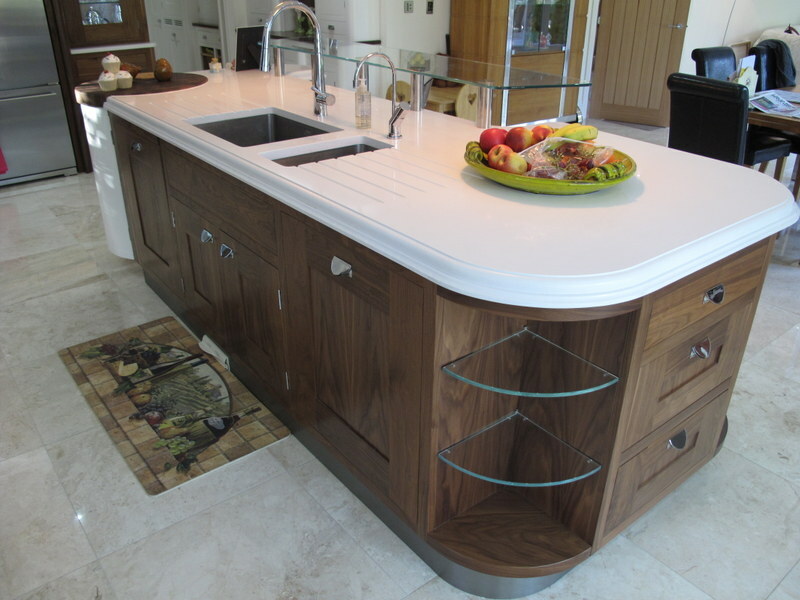 Why choose natural wood veneers over solid wood? For some 200 years, natural wood veneers have been a staple amongst quality custom furnishings and cabinetry. A traditional and structurally sound process used in furniture making, natural wood veneers are widely used in both customary and contemporary design. Veneers are paper thin cuts of wood that are applied to both sides of a substrate material. The veneers seal and stabilise the material: a vitally important part of the process when crafting furniture or cabinetry that will be subject to movement. Because solid wood expands and contracts with changes in temperature, furniture with moving parts is best crafted using veneers. So for example, with your kitchen cabinets and drawers and anything that is panelled or built-in, veneers really do help with stabilisation. Solid wood on the other hand, whilst absolutely fine for static items like tables and chairs, can be subject to warping and splitting along the grain when used for anything that involves movement. Whilst oils and waxes can help with this problem, there is a lot more maintenance involved. Solid wood versus veneers is a hugely misunderstood issue in the furniture industry. You will actually find that the majority of high end furniture contains a blend of exotic wood veneers and solid wood to create sophisticated pieces of beauty. Providing the substrate material below the veneer is of good quality, there really should be no question over the excellence of the finished article. The most attractive substrate material for a veneered piece of furniture is actually natural wood, although when you are considering stability, plywood offers a lot more in this respect. Plywood consists of thin laminates of wood glued together in layers at right angles to each other. This process creates strength and stability and provides the perfect alternative to natural wood as a substrate. The optimum number of layers for plywood used in furniture making is nine layers. Medium density fibreboard (MDF) is created from powdered wood which is bonded with glue and then pressed into sheets. It’s soft and therefore straightforward to sand and finish, making it popular as a base for veneers. Chipboard is a similar material, although it is formed from wood chips rather than powder, then coated in thin laminate. So, solid wood, or veneered furniture? In summary, veneered wood furniture can in many circumstances offer greater stability than solid wood and, with the natural beauty of the timber brought to the fore with specialist veneer cutting and matching techniques, it also presents a highly elegant and sought-after finish. If you’d like to learn more about how natural wood veneers can be used in crafting high end furniture, you are welcome to get in touch for tailored advice.